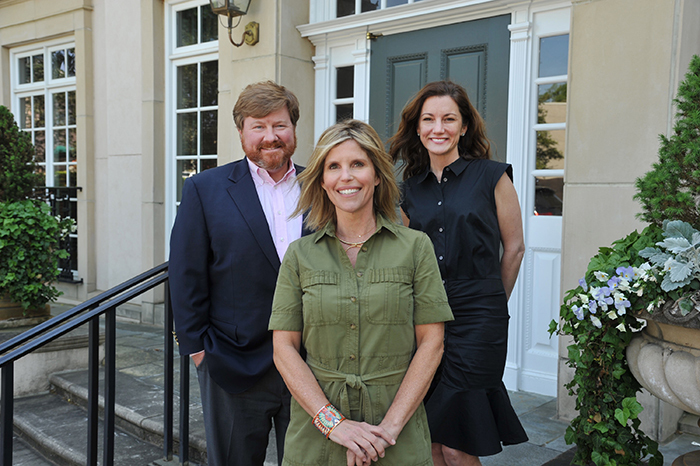 Dorsey Alston is pleased to introduce one of our newest team members, Molly Beery — a successful businesswoman, entrepreneur, interior designer and mother, who turned her talents to helping people buy and sell their Atlanta homes about three years ago. Molly grew up in Ansley Park and attended Lovett for 13 years. She earned her bachelor’s degree from Vanderbilt University and holds an MBA from Georgia State University. She is married to Bill Beery from Wrightsville Beach, N.C. and they have three children — William, age 18, graduated from Lovett this year and will attend TCU; Henry, age 16, a rising Junior at Lovett and Louise, 11, a rising 6th grader at Lovett. Why did you go into residential real estate? I was ready for a new challenge. After business school, I started Trillium Research. We wrote sales intelligence reports for high level sales people. I spent a lot of time in front of the computer. After Trillium Research was sold to Siebel Systems, I left and joined two friends in the interior design business. After ten years in the design business, I was ready for a new challenge. I love looking at houses and love the business side of real estate as well. I got my license in January 2014. A lot — every deal is different. What is your take on the market right now? I tend to focus on Buckhead, but I have bought and sold in neighborhoods all over Atlanta – Brookhaven, Roswell, Alpharetta and more. I see the Buckhead market continuing to do very well. In the $1 million-plus market, there is lower inventory so houses must be priced right. Otherwise they will sit on the market and buyers wonder why they haven’t sold. If a house sits on the market, sellers typically get lower sales-to-list-price ratio. If a house is priced right and has no issues, it will sell quickly in this market. Buyers in the under $1 million market need to be ready to move quickly. Why did you choose Dorsey Alston? Cia Cummings and I joined Dorsey Alston to form a group with Geoff Friedman. We currently have Jean Bird, Kevin Thomas, Anna Adams, Sam Friedman and Amber Erwin working on our team. Everyone that works at Dorsey Alston is great.